Since few years, Groupe Gazechim Composites participates to JEC WORLD Exhibition in Paris. 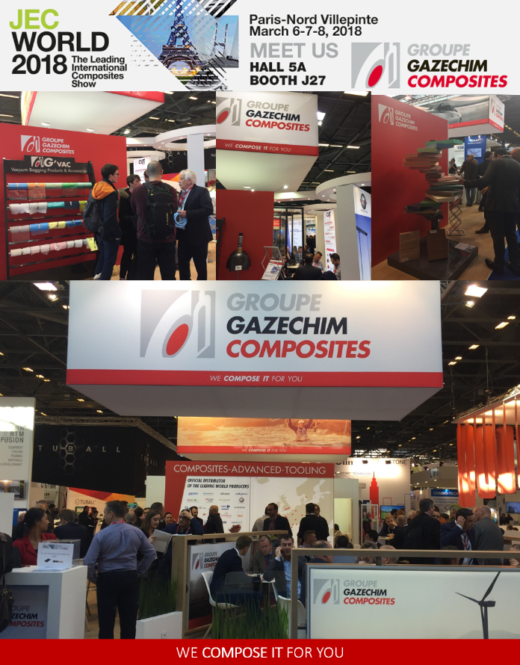 During 3 days, european subsidiaries of Groupe Gazechim Composites were on the booth to discuss, exchange & meet their customers, suppliers & partners. Aircraft Interiors Expo is the global must attend event to see the latest ideas and innovations in aircraft interiors. Staged annually the show launched in 2000 in Cannes and has evolved throughout the years, moving to Hamburg in 2002. This year again, the show expects more than 18,000 visitors over 3 days. Imatec & Composites Distribution will be on booth 2UB75 - Hall B2, from April 2 to 4 in Hamburg. 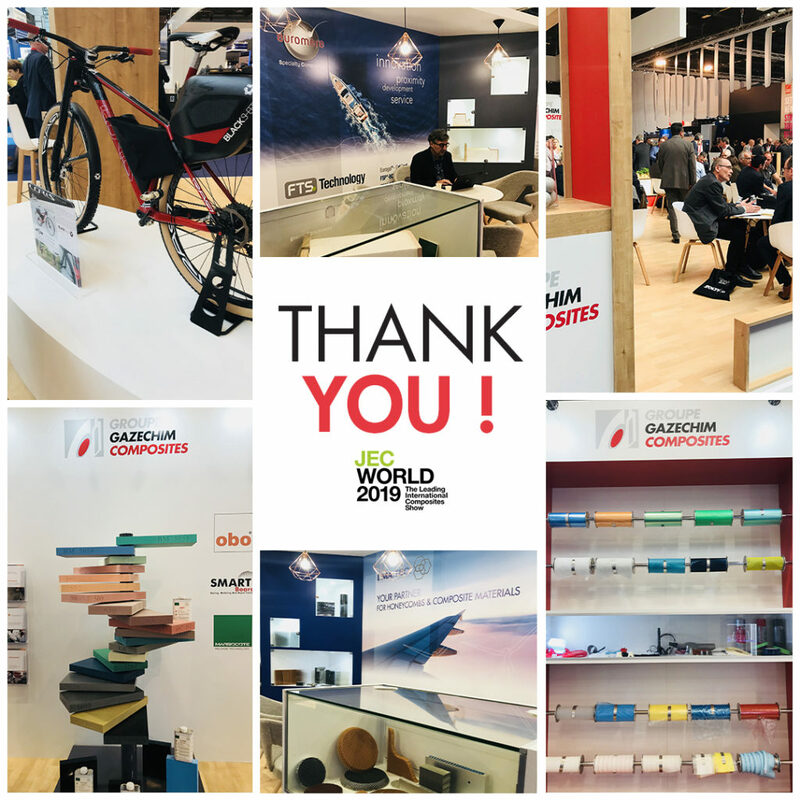 One week ago Groupe Gazechim Composites was at JEC World 2019 in Villepinte. Imatec thanks its customers, partners, suppliers for this great edition 2019! See you next year from March, 3rd to 5th! From 6 to 8 March 2018 we participated in JEC World in Paris Villepinte. During 3 days teams of Groupe Gazechim Composites were attending on booth J27 - Hall 5A to meet & exchange with different market actors. An opportunity to be visible on European markets with our main suppliers as Hexcel, Owens Corning & Chomarat. We invite you to join us next year for a new edition! 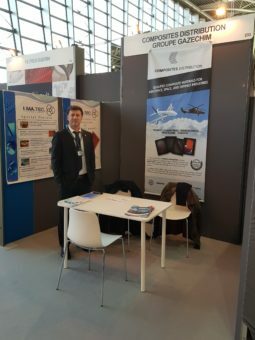 From 28-30 November 2017, Imatec was at Aerospace & Defense Meetings Torino with Composites Distribution. It was an ideal opportunity to build up targeted business relations and develop new projects with companies from all over the world. IMATEC has passed the audits second new rules for EN 9100 : 2016 , EN 9120 : 2016 & ISO 9001 : 2015. Aerospace & Defense Meetings is the only international business convention for the aerospace and defense industry organized in Italy, tailored to your needs. In 2 days, all participating companies have the chance of meeting and build up targeted business relations and develop new projects with companiess from all over the world. I.MA.TEC will attend the event from 29th to 30th of November 2017. 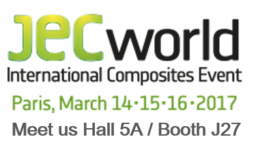 JEC World 2017 invites you to join the largest composites show in the world that covers the whole composites value chain from raw material to processors and final products. End-users are definitely the focus of interest. The Innovation Planets will illustrate 4 major applicative markets: Aerospace, Construction & Building, Automotive & Land Transportation and Better Living including energy, sustainability, sports and leisure, medical, consumer goods. 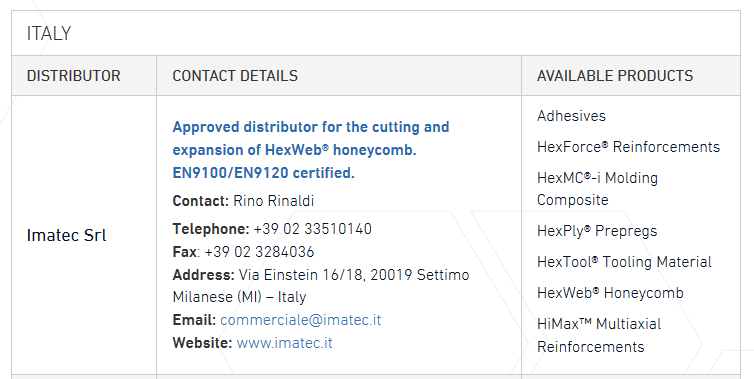 Approved distributor for the cutting and expansion of HexWeb® honeycomb. EN9100/EN9120 certified. 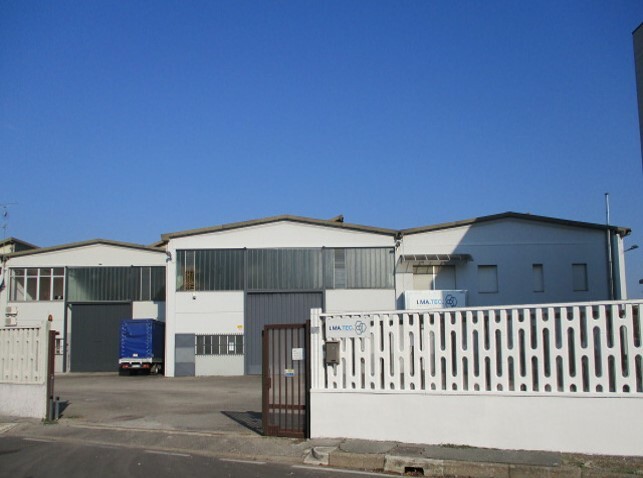 JEC è il salone professionale europeo leader sul mercato dei compositi. Più di 35 000 professionisti del settore proveniente da 100 paesi erano presenti. JEC fa la promozione dell’industria del composito, proponendo una rete di participanti locali e mondiali. Tutti collegamenti sono rappresentati : materie prime, lavorazione, distribuzione, processo produttivo, et cliente finale. Agusta Westland audit : IMATEC becomes official supplier of Agusta Westland. Imatec wins the 2014 Award as "Best Hexcel's Distributor"